The purpose of research-development of methods of numerical optimization rotatable support pads gasostatic hybrid bearing. In the world‘s aerospace engineering the gas-dynamic bearings are currently most common. They are characterized by the supporting layer of different designs, which ensures the workability of the rotors during starts and stops. 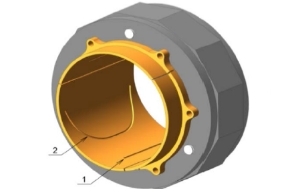 The main problem of this bearing type, apart from the construction complexity is the wear of this supporting layer. Gas-static bearing has no such defect, since there is no physical contact between solid surfaces. This study presents the results of the hybrid bearing’s calculation, combining both technologies. 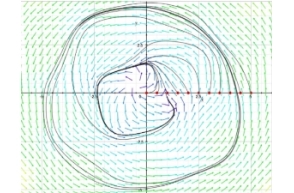 The slotted nozzle of non-conventional shape that mirrors the solution of Reynolds equation’s isoline is studied. 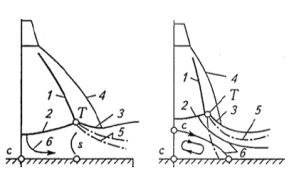 The dependences of the main parameters on the speed of the shaft’s rotation are discussed. 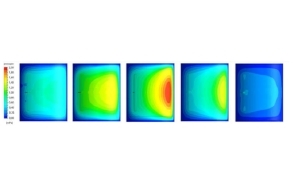 The aerodynamic resistance of pads for different regimes of operation is investigated.